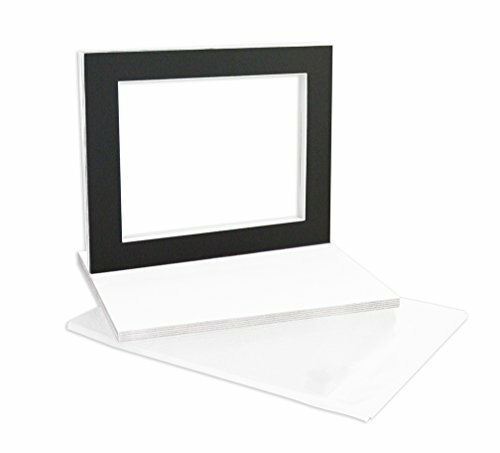 Perfect for framing 8.5x11 documents in a 11x14 frame. 10 - Crystal clear sleeve protective bags. Mat: Opening Size is 8x10.5 inches for 8.5x11 photo / documents. Is White core and 4-ply thick (about 1.4 mm or 1/16 inch). Backing Board: 4-ply, white on both sides, and core is brown. Clear Bag : includes a re-sealable adhesive strip below the opening of the bag instead of on the flap. Backing Board Color is White on both sides.